No single educator can help children learn all they need to become scientifically literate. Resources are all around us—not only in traditional science classrooms and laboratories, but also in gardens, nature centers, parks, youth programs, museums, and on television and radio. 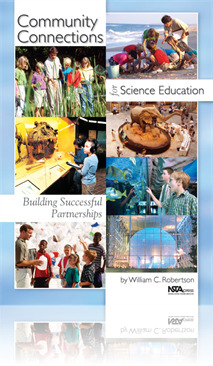 Community Connections for Science Education, Volume I: Building Successful Partnerships offers advice on how to select community resource partners, set joint learning goals, improve pre- and post-field trip activities, instruct students in field trip safety and etiquette, and much more. This book was developed by the National Science Teachers Association and the National Park Foundation. Read a sample chapter: What’s Out There?